The family room is the heart of the home, a place to spend time with loved ones, relax and casually entertain. 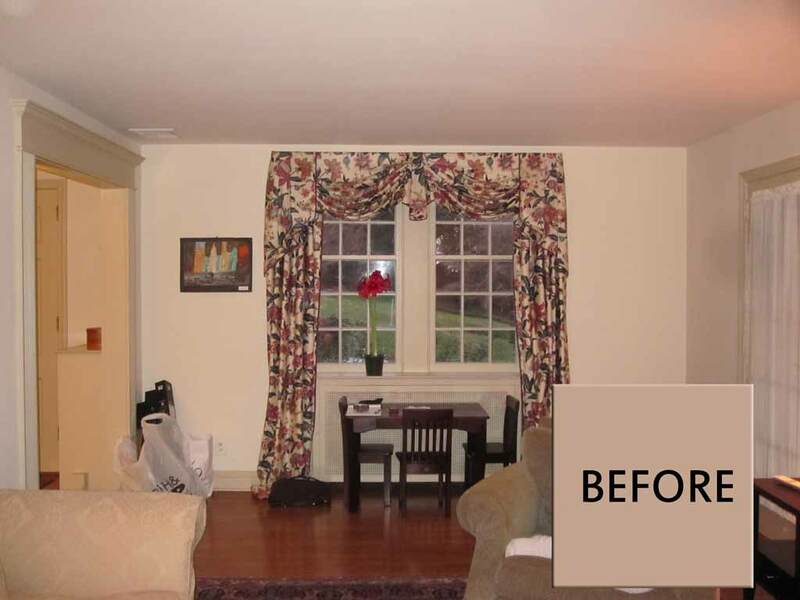 So when our clients in Wallingford, PA decided it was time to transform their family room into a space they could truly enjoy, the team at Lisa Quale Interiors, a Delaware County PA interior design firm, couldn’t wait to get started. You can see in the before picture that the room has a fair amount of natural light and great hardwood floors. Not pictured here, (but visible in the later photos) is a beautiful stone fireplace on the right hand side, which we knew would be a perfect focal point. There were a couple of unique challenges in redesigning this room. First, it’s a long and narrow space, which doesn’t allow for much flexibility in furniture placement. And, this older home, like many in Delaware County PA, does not have a separate formal living room, so the interior design plan has to meet both their entertaining and family life needs. Our interior design plan started with a low contrast color scheme of beige and spa blue. 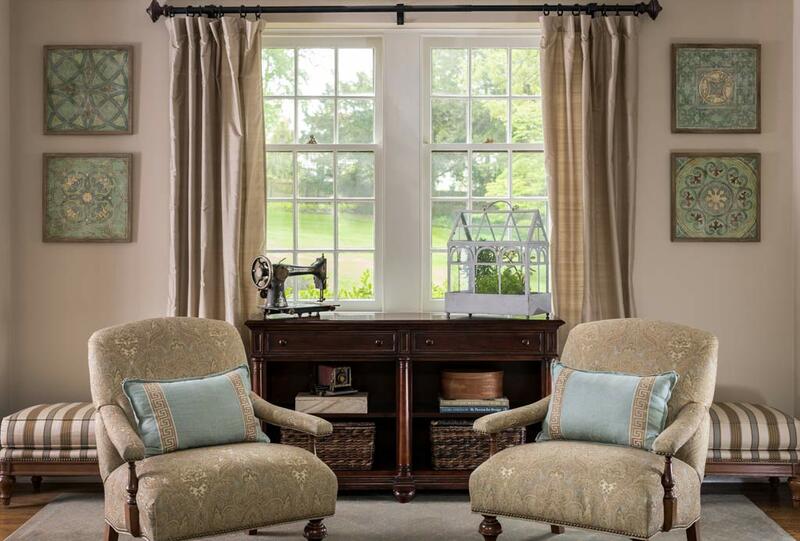 To create visual interest, we selected fabrics and draperies with differing, but complementary textures and patterns. To make this family room feel larger, we hung silk curtains in a shade only slightly darker than the walls and had a rug in a custom size installed. To highlight this older home’s traditional style, we added crown molding and custom millwork above the fireplace to surround the mounted television. In selecting furnishings, we opted for classic pieces like these wooden end tables with turned legs, which beautifully suit one of our client’s favorite pieces, the secretary desk. The finished room delivers exactly what our clients wanted, a relaxing and luxurious space that was still comfortable enough for everyday use. 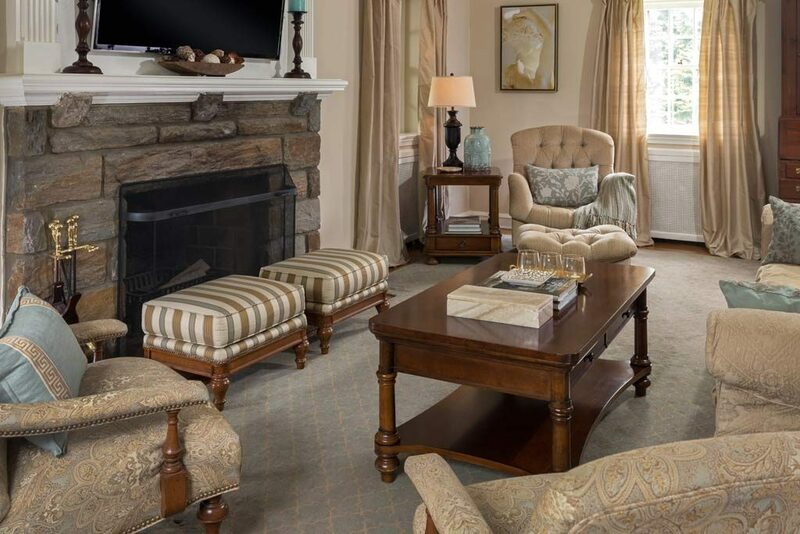 If you’d like to dramatically transform your space, email us today, or learn more about Lisa Quale, interior designer for Delaware County PA here.